There are always lots of dogs, real ale and a good welcome. Well behaved dogs are allowed in the bar and we have one bedroom reserved for guests who wish to bring a dog. 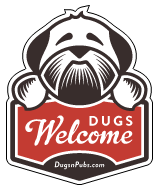 There are a total of 6 dog friendly listings in the West Wales Pubs category. Please log in, or sign up as a member to view all listings.